New to the market, Anton Page are marketing 3,400 sq. ft. over the first and second floors of this attractive, former warehouse building on the corner of Great Sutton Street and Berry Street. The floors have been refurbished to provide stylish, open plan, loft style office accommodation with exposed brickwork, Domus tiled floor, LED light fittings, air conditioning, kitchenette and demised W/C’s. Berry Street is located just off Great Sutton Street in the heart of Clerkenwell, home to an array of creative office occupiers and an established showroom community. 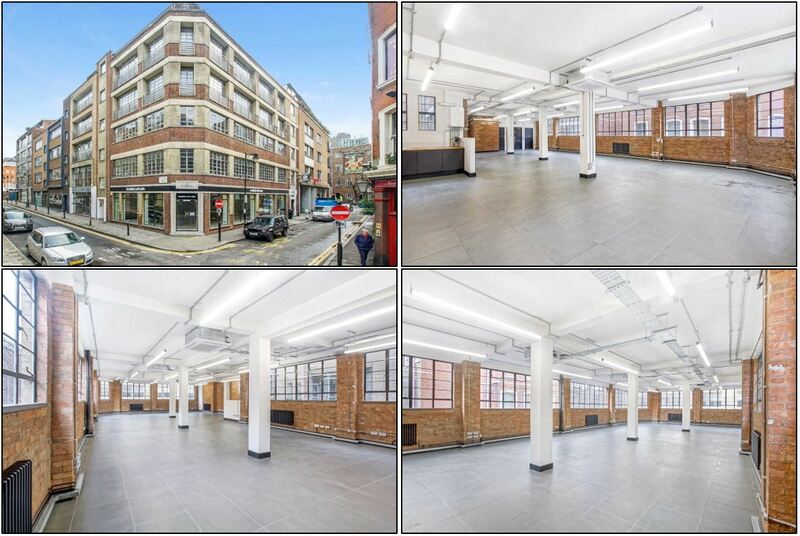 This corner building boasts excellent floor to ceiling heights and levels of natural daylight with the floor areas measuring 1,700 sq. ft. respectively. The suites are available together or separately for immediate occupation at £65 per sq. ft. Here is further information on Berry House. Alternatively, contact us to find out more info.